The more than three decades of war in Afghanistan had as a legacy a culture of violence against women which is now embedded in the Afghan society. The high levels of illiteracy and increasing unemployment had contributed to make things worse. Violence against women (VAW) is as one of the country’s pervasive social problems. An even great problem is the lack of concrete information to show the extent of VAW in the country. There is a lack of statistics in many provinces. 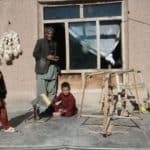 Giving to the afghan women a professional opportunity means realize a concrete intervention on the gender issue and promote their social status. Afghanistan was ranked 134th on the Gender Inequality Index in the UNDP’s 2010 Human Development Report. This means that the situation for Afghan women, despite international support, remains one of the worst in the world. The formal judicial system does not protect women in practice, leaving them with only a few choices of redress. Many women or girls either resort to leaving the house to live on the streets or, in extreme cases, to committing suicide. Women’s rights, domestic violence, harmful traditional practices, self-immolation, drinking acid, are all new issues in Afghanistan. At national level there has been some advancement to improve the situation of women with the establishment of the Ministry of Women’s Affairs (MoWA), the creation of a National Action Plan for the protection of Women (NAPPW), and the Elimination of Violence against Women (EVAW) Law. However, in practice, there is a wide gap between the national laws and the implementation at a local level, where customary law or the informal judicial system functions as the prime modality for resolving cases. 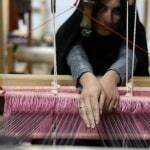 Vento di Terra operates in the province of Herat, in the promotion of women’s rights. In the province of Herat last year 84 women set themselves on fire. Vento di Terra has joined the campaign “Dark Flowers”, oriented to intervene on behalf of victims of domestic violence. We also defined two project areas targeted: support to local producers of silk and the opening of a Family Center.